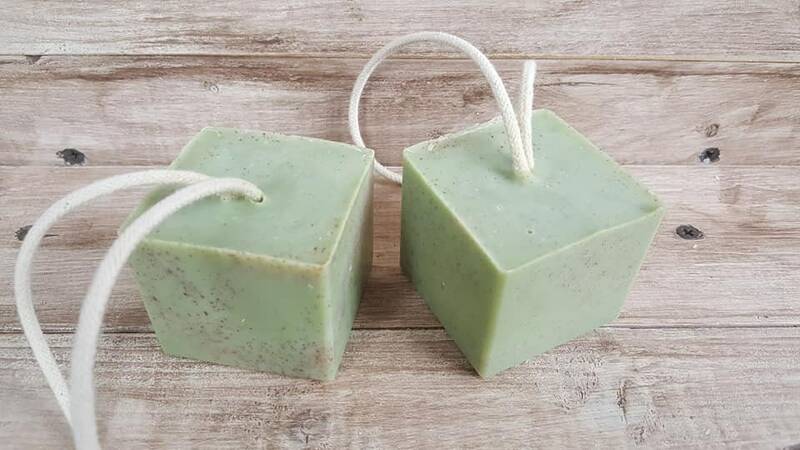 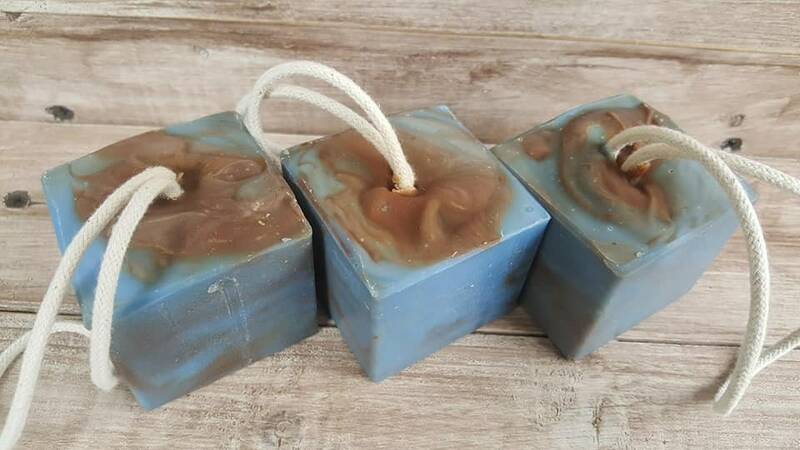 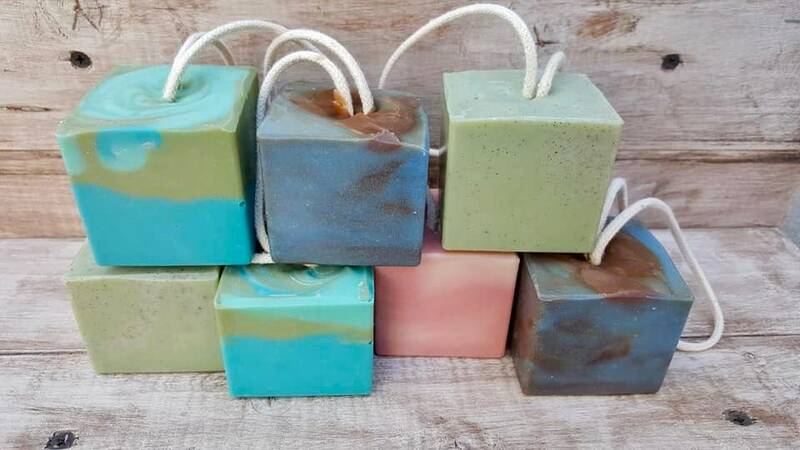 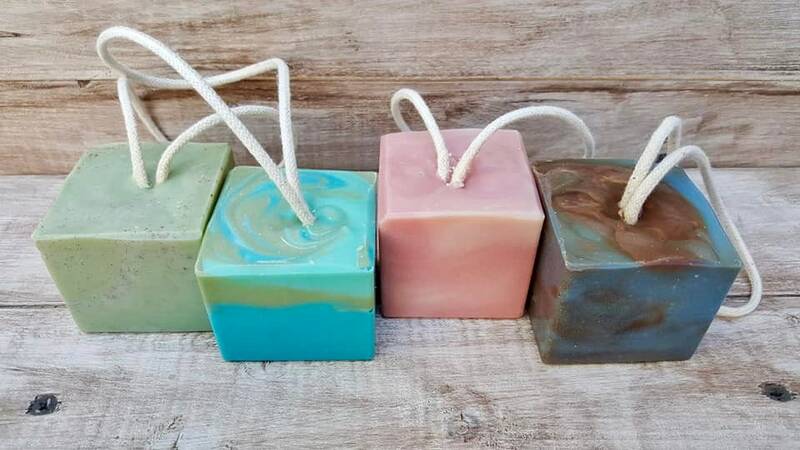 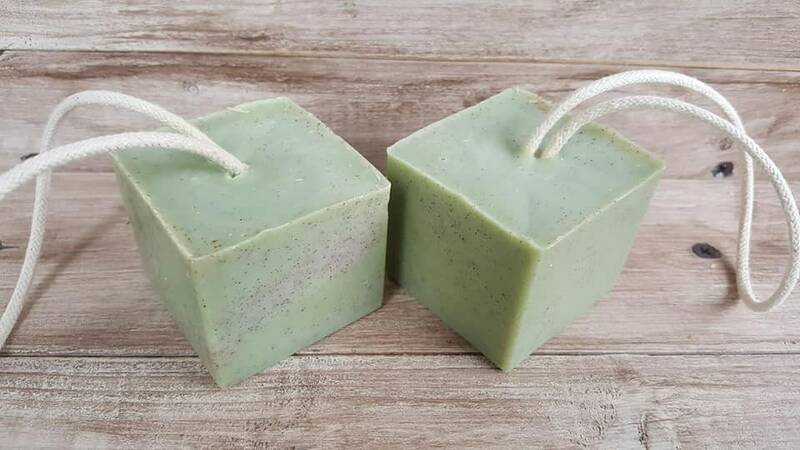 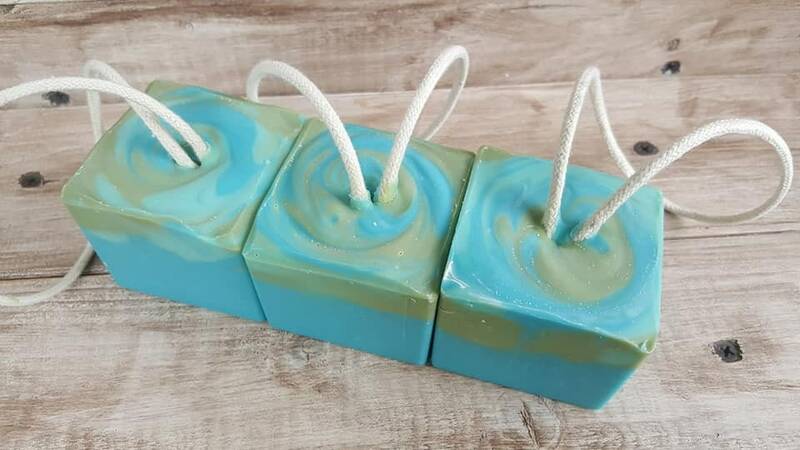 Now available on Etsy is our Soap Shooters Soap on a Rope. 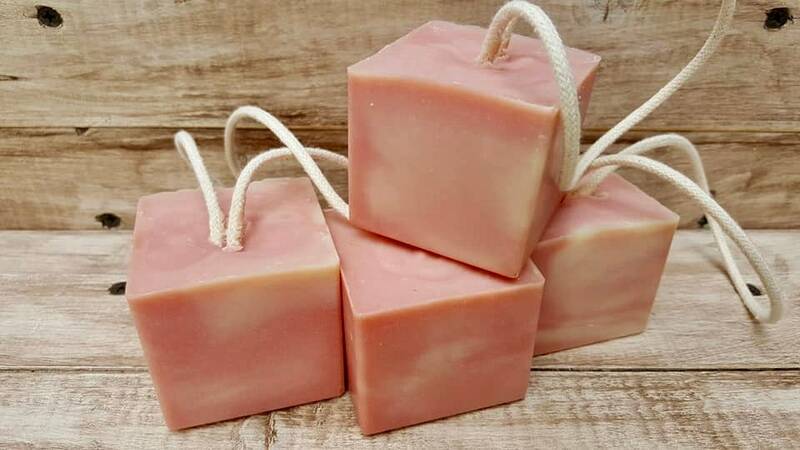 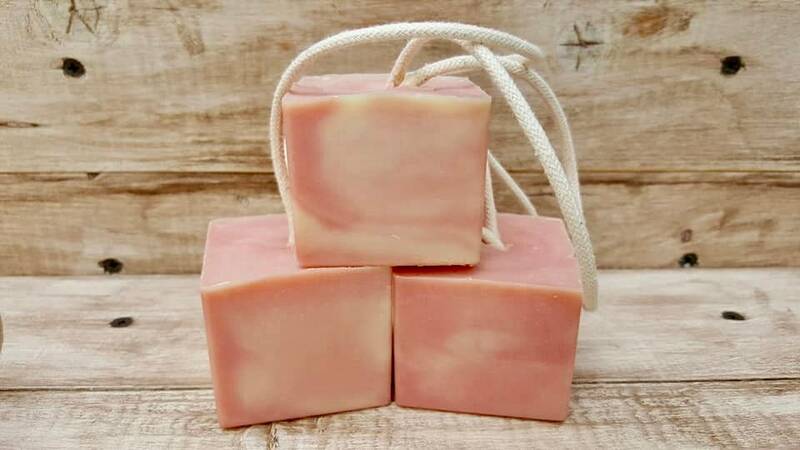 A long time customer favorite, you will receive 2 hearty 5oz cubes of soapy goodness. 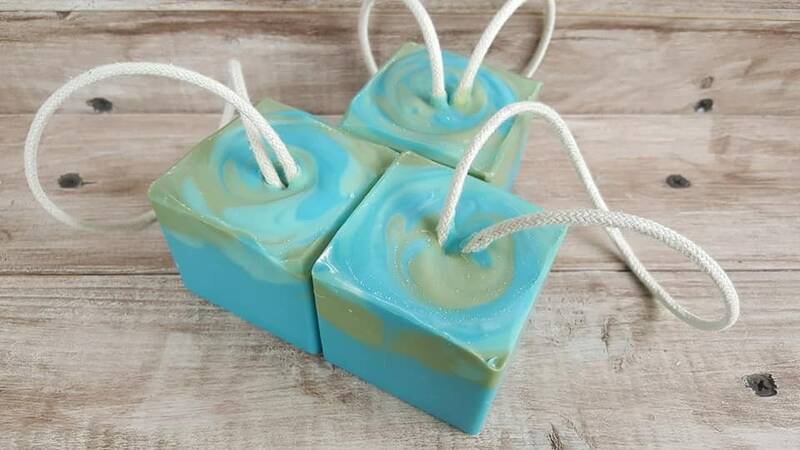 9" drop to fit around your hand while showering & easy hanging when not in use. 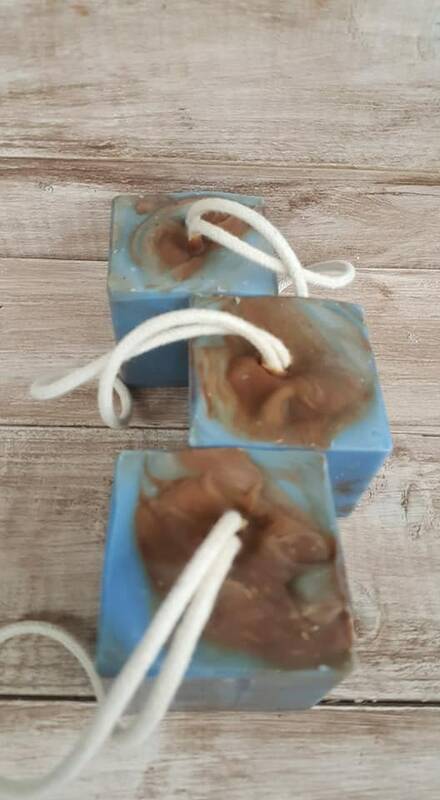 Olive oil, coconut oil, water, responsibly sourced palm oil, grape seed oil, rapeseed oil, fragrance, micas, natural cotton cord.